We promise to deliver the best results to each and every customer through reasonably priced, high quality products, professional installation and exceptional customer service. 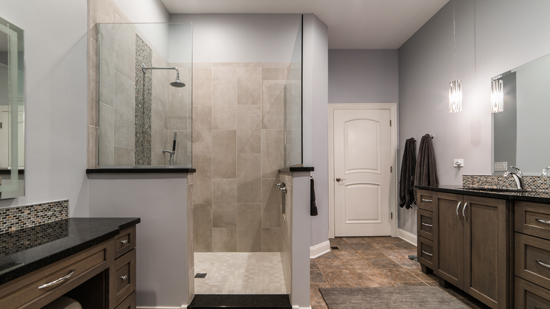 We proudly serve the Greater Chicago Area with a customer-centric focus in the home remodeling industry. We offer a free design meeting to not only provide a price, but also our expert advice. We understand the importance of being on-time so we make sure to get your work done on schedule. We do it all. There is no need to contract any other. 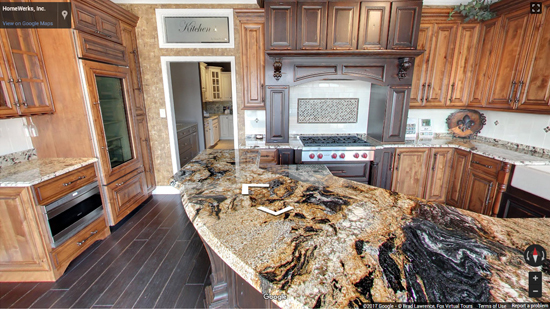 Our designers make sure to create a custom plan to fit your needs. 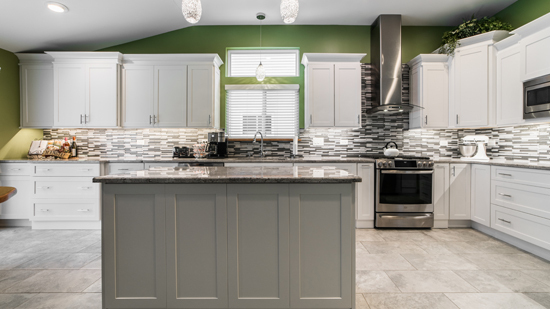 HomeWerks has been transforming our customers' homes since 1996. With an exceptional rating with the Better Business Bureau, you know you will receive quality products and service. 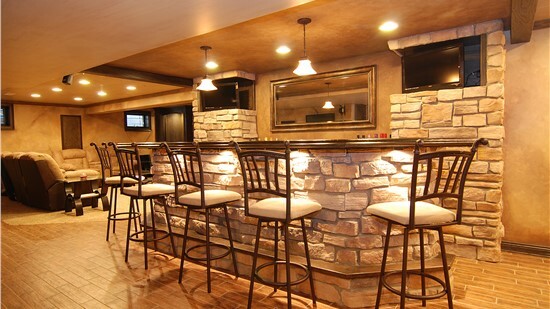 HomeWerks takes pride in our reputation as one of the finest Chicagoland remodeling companies. We promise to deliver the best results to each and every customer through reasonably priced, high quality products, professional installation and exceptional customer service. We stand by our work and offer this stress-free solution for the long-term. We use our own certified installers to assure quality and dependability. 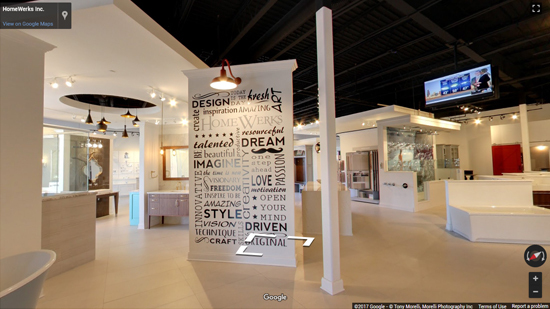 Take a Virtual Tour of our Showrooms. What Are People Saying About Homewerks Inc.
We have gained the loyalty of our previous customers as we constantly grow with the addition of new customers because of our dedication to quality products and service. I Would Highly Recommend Homewerks. My kitchen remodel was long overdue and since I live in a 125 unit condo building I was looking for a company to complete the process with minimal distraction to my neighbors and would comply with my Associations rules and regulations. The Homewerks team (Andy, Greg, Marcin and Arthur) not only did that but they far exceeded my expectations from start to finish. Not one complaint from my neighbors or Association. Looking Forward to Using Homewerks Again! Just made the deposit for a main bath renovation. Joe is our sales rep and has been for the three previous remodels we had completed by Homewerks. Dana and his team will perform the work as they did for the previous jobs. Looking forward to another fantastic home improvement by Homewerks. The quality products and work can not be improved upon. My wife and I decided that our 32 year old master bath (low vanity, small shower and large unused tub) needed a change.  After receiving five quotes we made the excellent decision to go with Homewerks. Sales Rep Natasha and Project Manager Greg were outstanding to work with, and the site crew of two was neat, professional and their quality of work exceptional.